Take a look at our hottest NFL cappers right now, how you can get one of our most respected and consistent handicappers plays for four full days for just $5 and who Mike Lundin likes in Friday’s Bulls@Celtics matchup. Only in our Handicapper Report! The New England Patriots will visit the Denver Broncos for the AFC Championship game while the Arizona Cardinals will travel to Carolina to take on the Panthers for the NFC Championship. We have many sharp NFL cappers on our roster, but this is a good time to highlight our top five. 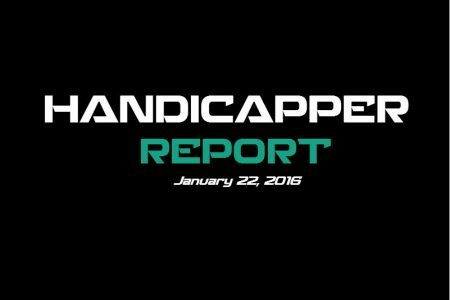 Take this RARE opportunity to follow one of the world’s most successful handicappers for four days for just $1.25 per day! The Chicago Bulls have won just two of their last seven and will be desperate to bounce back from Wednesday’s embarresing 125-94 home loss to the Warriors. The good news is that they’re 4-1 ATS in their last five games following a double-digit loss at home and 4-1-1 ATS in the last six meetings in Boston. Derrick Rose is averaging 22.3 points on 50.9% shooting over a three-game span and led the team with 29 points against Golden State. The Celtics are off back-to-back losses and they’re 1-4 ATS in their last five when facing a team with a winning straight up record. Isaiah Thomas and Avery Bradley combined for a total of 40 points in a 115-109 loss at Toronto on Wednesday and I don’t see them matching up well with Chicago’s backcourt of Butler/Rose. – Mike’s been on fire with his NBA of late and is 29-18-0 (61.70%) +$917 since the turn of the new year! Sign up for Mike’s 1 Day All Sports All Access Pass ($59.95) now to ensure you don’t miss a single one of Friday’s winners.